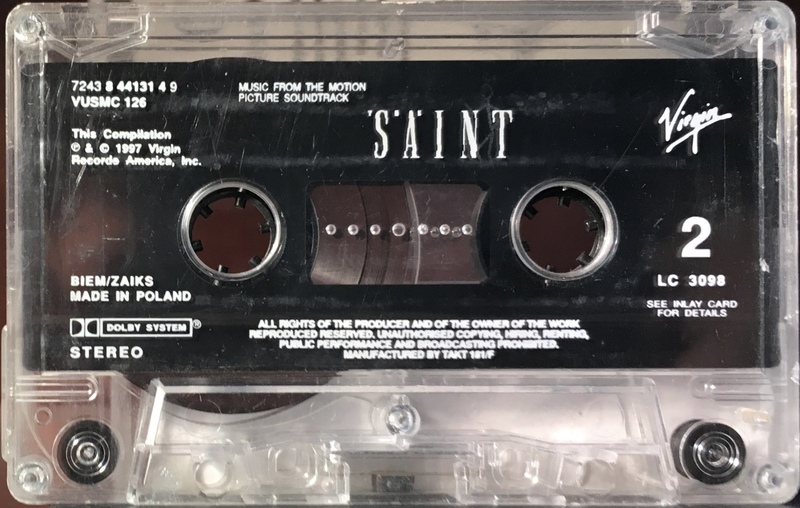 The Saint: Poland; Virgin, 7243 8 44131 4 9 (VUSMC 126); 1997. 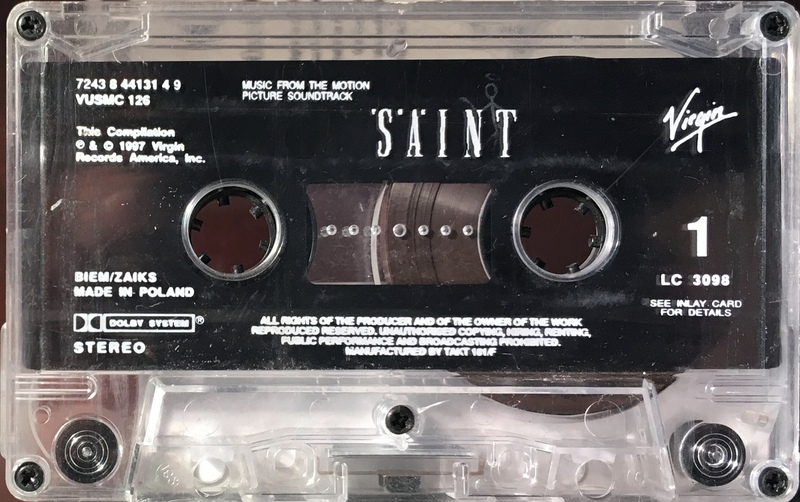 ‘Music From The Motion Picture Soundtrack The Saint’. All picture panel concertina cover on glossy paper. Track list on rear panel with song and movie information printed on the inside panels. UK catalogue number on rear panel and ‘ZAIKS’ holographic sticker. David Bowie performs on one track: ‘Little Wonder (Danny Saber Dance Mix)(5:30)’ on Side 2. This track is on European only releases, the USA release has ‘Dead Man Walking’. White ink printed directly onto clear shell with plain slip sheet and ‘BIEM/ ZAIKS’ rights logo. Both catalogue numbers on shell with UK (VUSMC 126) second.